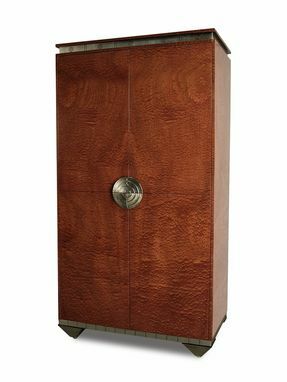 Figured wood cabinet exterior with metal leaf and black detailing. Door pull divided into four pieces with one piece attached to each door. Open grain finish on all wood surfaces. 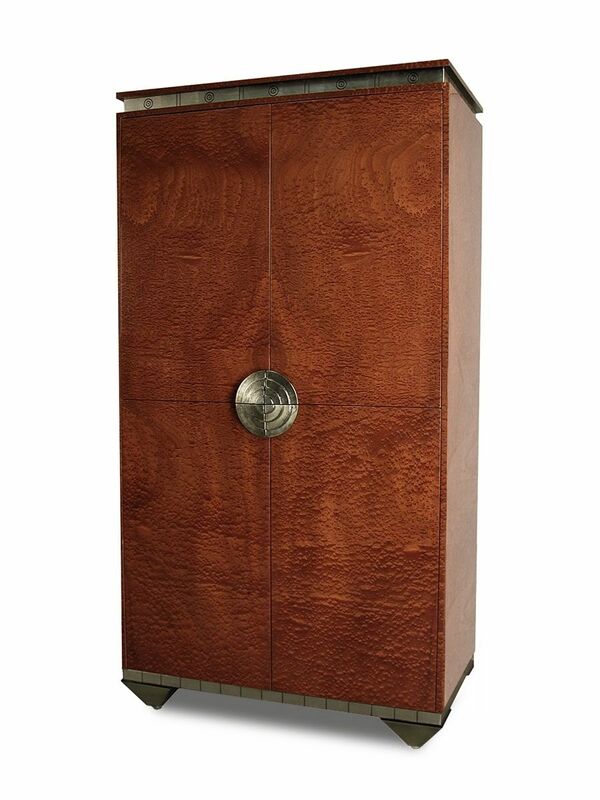 Shown in chestnut stained pommele with white gold leaf and black line detailing. Upper Cabinet fitted for TV and VCR/DVD with two pocket doors. Lower cabinet has four drawers and four adjustable shelves.